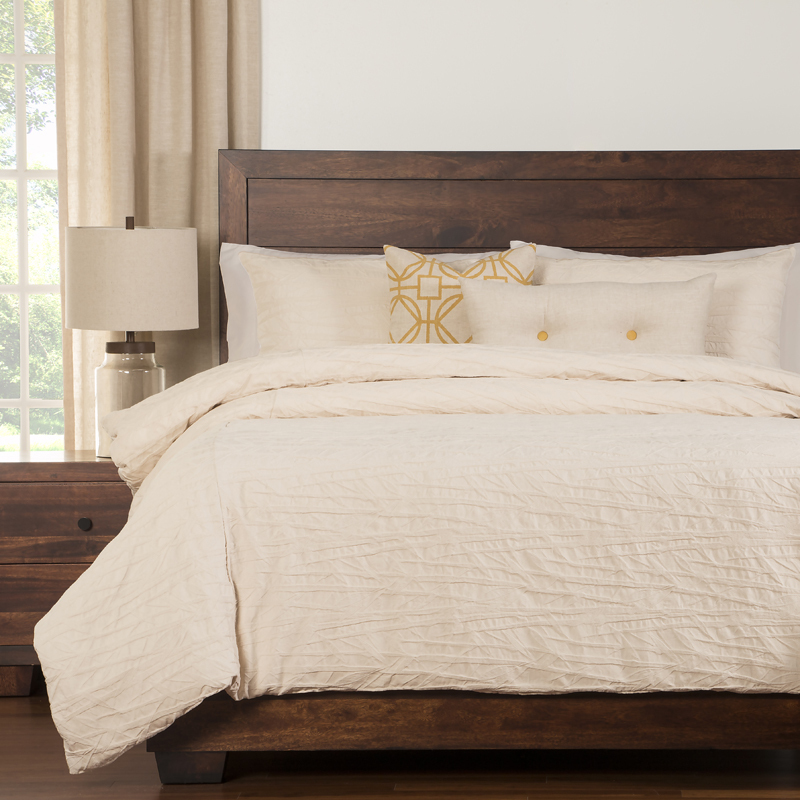 Pull the bedroom together with our great solid color Sis Select Bedding Collections. The duvet cover and bed pillow shams are made from a solid fabric. Then you get to choose the coordinating decorative pillows to complete the look. Choose from our inventory of over 400 Siscovers fabrics to create your custom bedding collection. Our duvet cover is expertly designed to eliminate the shifting and movement of the down alternative insert and has an easy zip closure.